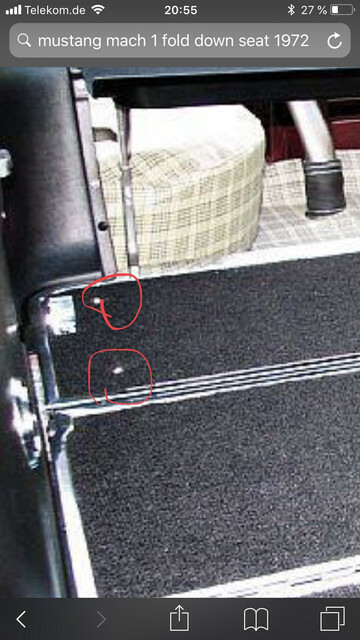 Fold down seat - bolts? › Fold down seat - bolts? Rear panel? I checked NPD and the internet but did not find anything! Are the bolts visible like on the image (image is not a 72)? Can anybody post an image of the bolt and size? They are actually screws. That is not a correct installation in your picture. Best picture I could find of my seat. Your picture did not appear to have the chrome pockets for the rubber bumpers to rest in. 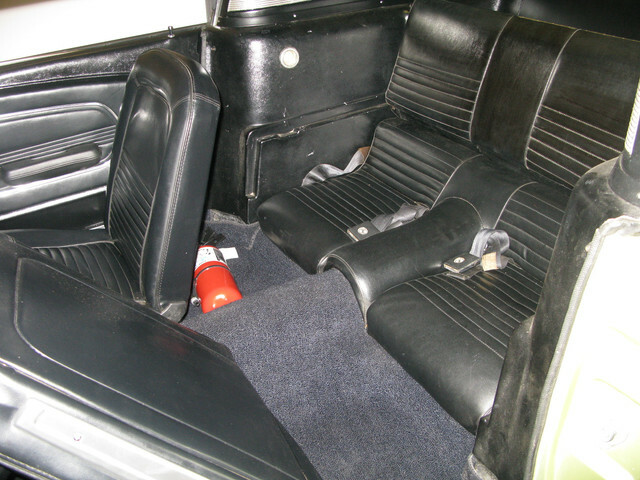 Your picture is of a 67-70 rear seat. 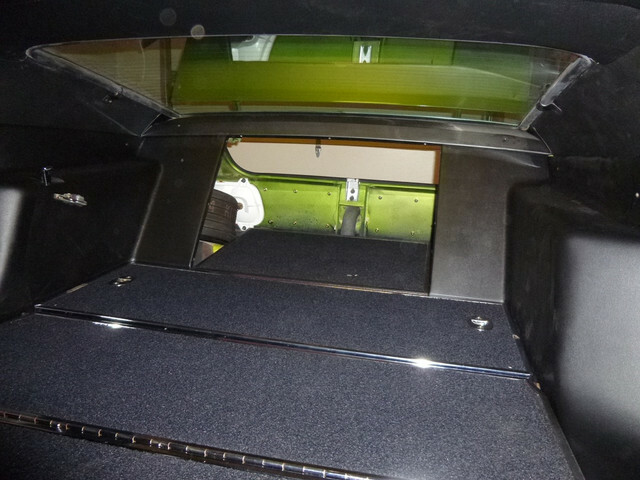 The sides have the interior light bezel on the side panel which was a 67 - 70 feature. 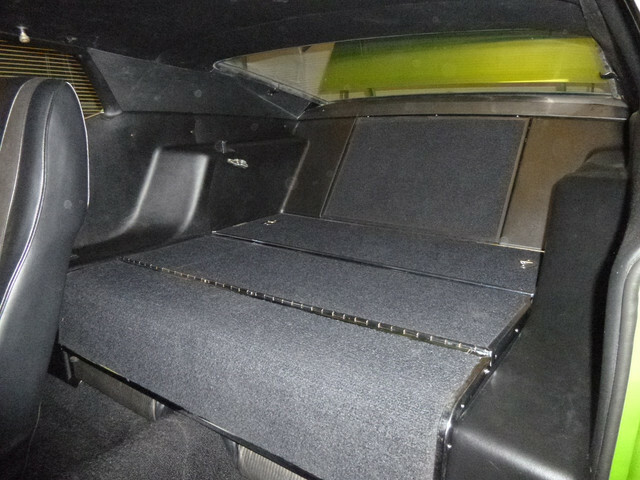 This is my 67 FB rear seat. Thanks, ok a screw! But what size of a screw...the wholes in the Panel have about 0,3 inch...? The attachments showing the wholes of the panel of my mach 1 1972! Can someone advise about the screw? 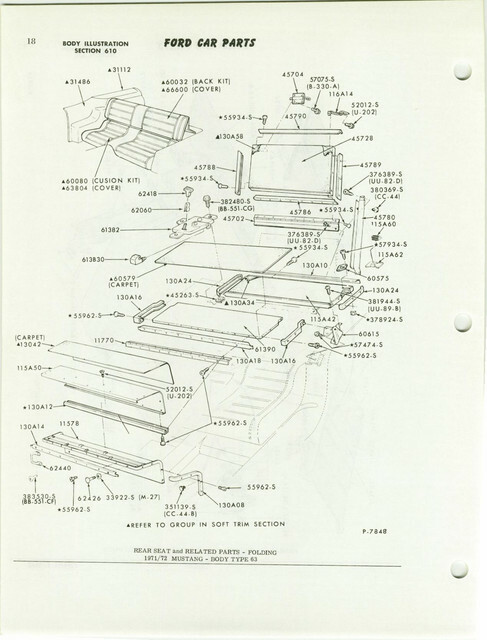 Here's the illustration page out of the MPC. Search on the part #s of the fasteners on the AMK site. I believe someone has modified your panel by drilling out the holes. Probably did the same to the mounting flange on the floor. 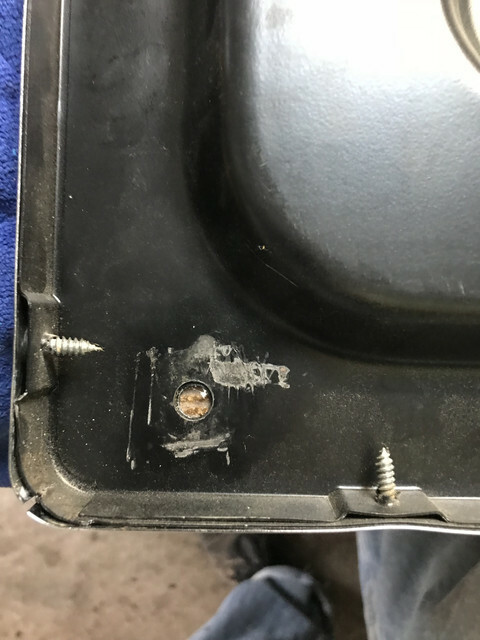 It is not a large screw so you will either need to go back to the same bolts or have someone weld in some metal and re drill the holes on both the cover panel and the floor flange. Over 40 years people change things and if you want to go back to stock it can sometimes be a challenge. (08-30-2018, 07:55 AM)bkdunha Wrote: I believe someone has modified your panel by drilling out the holes. Probably did the same to the mounting flange on the floor. 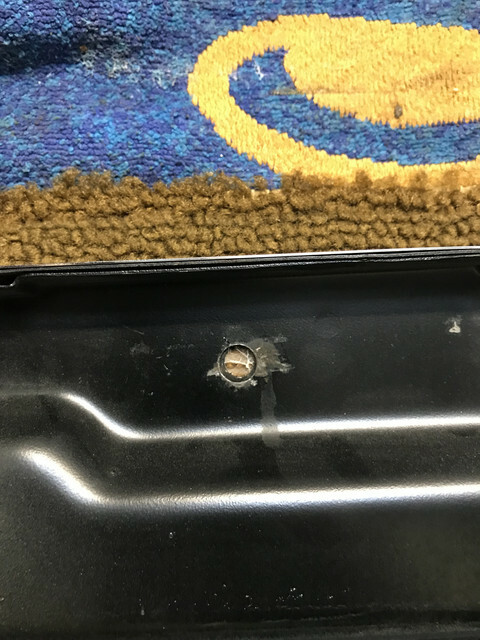 It is not a large screw so you will either need to go back to the same bolts or have someone weld in some metal and re drill the holes on both the cover panel and the floor flange. Over 40 years people change things and if you want to go back to stock it can sometimes be a challenge. Yes, looks like you are right! I’m going to weld a washer in the whole to get the right fit to the small screws! It may be worthwhile to just weld in some metal versus a washer and then drill a small hole. They are course threaded screws so it should bite on a small pilot hole. It would need to be a very small washer and hard to weld. 71-73 Mustangs never die, they just go faster!